European researchers have found a 40,000-year-old shard of pinkie bone that may be evidence of a previously unknown human species. The finding, which was published Wednesday in the journal Nature, adds a new twist to the evolving story of our ancestors, suggesting that early humans may have been more diverse than anyone knew. 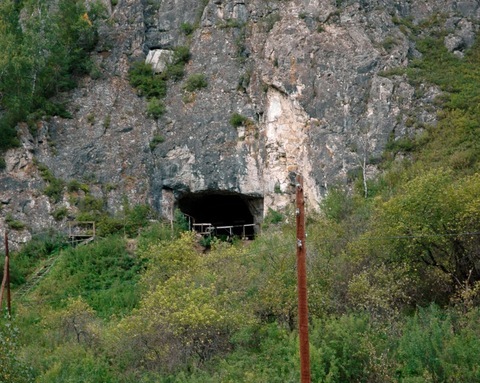 The tiny bone, discovered in a cave in southern Siberia in 2008, probably belonged to a 5- to 7-year-old child, researchers say. With no other fossils to work with, little is known about what the “Denisova hominon” species looked like. But they do know that it migrated from Africa to Siberia and lived in Russia’s Altai Mountains about 40,000 years ago. This is notable because it indicates that this species coexisted with early modern humans, Neanderthals, Homo sapiens, and possibly the Homo floriensis, the mysterious “hobbit people” who lived on the Indonesian Island of Flores. And it appears to be genetically distinct from all of these species. But some scientists caution that it may be too soon to definitively call it a new species. While it is genetically distinct from modern humans and Neanderthals, Homo sapiens can’t be ruled out as a possibility, says Rick Potts, director of the Smithsonian’s Human Origins program. “It could be that this is a descendant of a species that is already known, as opposed to an entirely new branch of our family tree,” he says. The discovery marks the first time that a species has been identified using DNA analysis, rather than by piecing together fossils to study the bone structure of skulls and other body parts. With only one bone shard, the traditional method wasn’t an option in this case. Instead, researchers extracted genetic material from the bone, sequenced its mitochondrial DNA and found 365 mutations, or differences from modern human DNA. The rate at which mutations occur is known, so scientists could use genetic sequencing to determine when the species split from a common ancestor. The number of mutations in the child’s bone suggests that its ancestor left Africa about one million years ago. Genetic analysis is often used to define living species; researchers expect it will become increasingly common as a way of parsing out differences in human lineage. Researchers also need to rule out that the species was created by interbreeding of other known species. Dr. Svante Paabo, a researcher at the Max Planck Institute for Evolutionary Anthropology in Leipzig, Germany, is analyzing the rest of the bone’s DNA – including its nuclear DNA – in an effort to understand it better.